Playing for Keeps is an Australian 60 minute scripted sports television series, which kicked off on September 19, 2018, on Network Ten and is broadcast every Wednesday at 20:30. The show is currently in its 1st season. Network Ten is yet to announce the renewal of Playing for Keeps for Season 2 as well as its cancelation. Sign up to track down the show's status and its release date. 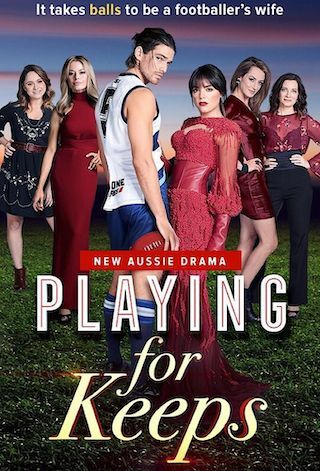 Playing for Keeps is an exciting new series about the women behind the men we barrack for on the footy field. Affairs, business opportunities, fashion, groupies, harassment, racism, sexism, and an absurd amount of fun, it's a world we've read about. Now we're allowed inside.